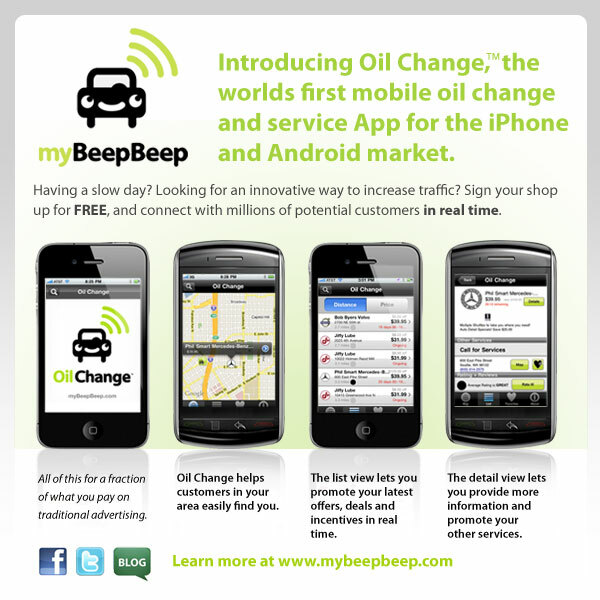 myBeepBeep Blog: Oil change shops convention? If you can believe it yes! Every year the American Oil Change Association AOCA hosts the annual convention to meet, learn, share new ideas and show new products and equipment to other like minded Fast lube owners and operators. This was held at The Hilton Convention Center Saturday April 23-27 2010 and I... went to check it out. I arrived on Sunday and stayed at the the Hilton Grand Vacation Resort which is very nice but in a strange location behind the parking garage next to the main Hilton. I arrived at 9am and walked the lobby speaking to whomever would speak to me and showed my iPhone app "Oil Change" and handed out little paper iPhones with a home screen on one side and 4 screens of the app on the other side. These were the most important thing I brought it turns out because as soon as I handed it out people got it!